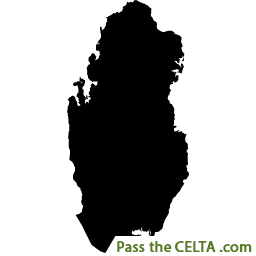 Are you looking to do a CELTA course in Qatar? If so, this modern country’s capital, Doha, has two CELTA centres in the heart of the city, making it easy to access. Qatar’s ESL market is growing, so they’re constantly on the lookout for excellent qualified CELTA teachers. Finding a CELTA centre in Qatar could help you land your dream teaching job. Living and working conditions are high as it the salary. Qatar’s also a beautiful and interesting country to visit. Located on the picturesque coast of the Arabian Gulf, you’ll be privy to some stunning sights including the impressive bridge that connects the East and West. With a rich history that’s attracted interest for hundreds of years, you’ll be able to enjoy a professional CELTA course in Qatar and the state’s fusion of Arabian culture with the modern world.